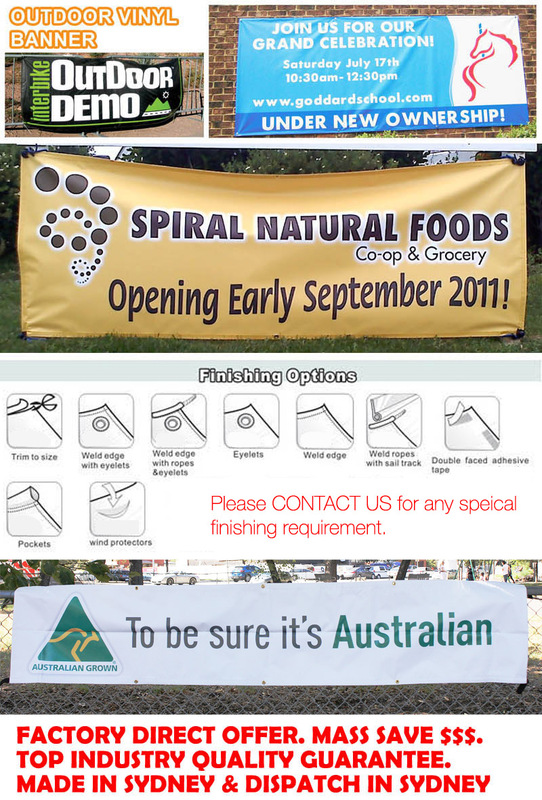 Vinyl Banner is light weight but super durable material banner product for outdoor display.We provide urgent and same day vinyl banner printing service in high resolution printing quality,which will give you more professional impact to your business. 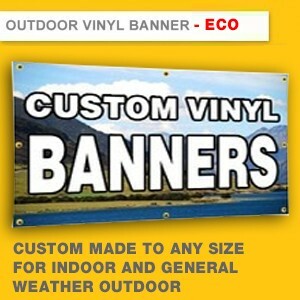 THIS PAGE IS FOR HIGH RESOLUTION OUTDOOR VINYL BANNER - ECO GRADE FOR INDOOR AND GENERAL WEATHER OUTDOOR USE. WE USE QUALITY OUTDOOR INK TO MAKE YOUR PRINTING COLOR CAN LAST 3-5 YEARS.